How deep does the rabbit hole go ? Gnostic Media is proud to present the official online edition of The Pharmacratic Inquisition 2007. If you enjoyed “Zeitgeist - The Movie”, you will love this video; the creators of this video are listed as one of the sources for the Zeitgeist Movie. 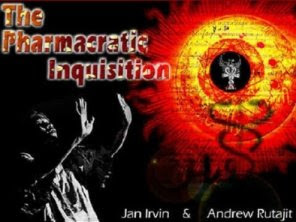 The Pharmacratic Inquisition 2007 is a video version of the book, “Astrotheology & Shamanism” by Jan Irvin & Andrew Rutajit. There are two different versions of "The Pharmacratic Inquisition" the first incarnation being a lecture format released in 2004, while the second, "The Online Edition," is a more polished video production and was re-released in 2007. Both are highly recommended. The painstakingly detailed and heavily footnoted research in the book comes to life in this video and is now available to you for FREE! For further research of the claims made in this video, please read AstroTheology & Shamanism - this book is available to order as a combo with the DVD. Thousands of years ago, in the pre monarchic era, sacred plants and other entheogenic substances where politically correct and highly respected for their ability to bring forth the divine, Yahweh, God, The Great Spirit, etc., by the many cultures who used them. Often the entire tribe or community would partake in the entheogenic rites and rituals. These rites were often used in initiation into adulthood, for healing, to help guide the community in the decision process, and to bring the direct religious experience to anyone seeking it. In the pre literate world, the knowledge of psychedelic sacraments, as well as fertility rites and astronomical knowledge surrounding the sun, stars, and zodiac, known as astrotheology, were anthropomorphized into a character or a deity; consequently, their stories and practices could easily be passed down for generations. Weather changes over millenniums caused environmental changes that altered the available foods and plant sacraments available in the local vicinity. 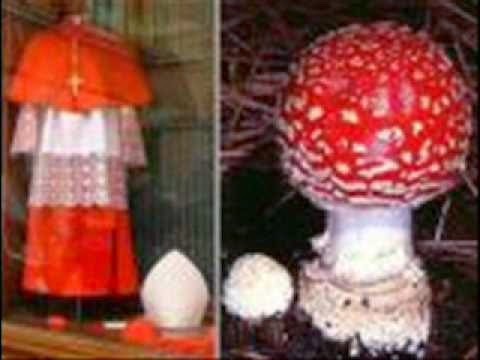 If a tribe lost its shamanic El-der (El - God), all of the tribe's knowledge of their plant sacraments as well as astronomical knowledge would be lost. The Church’s inquisitions extracted this sacred knowledge from the local Shamans who were then exterminated. The Pharmacratic Inquisition is over and the great secrets of mankind are about to be revealed to the masses.